Parking: Difficult (unless you come way early). With Santa Monica blocked off to automobiles, the traffic clogs the other major street arteries, making it difficult to get close to the event. Best bet is to part a few blocks away and walk. This street parade of costumed adults began years ago as a primarily gay event, featuring the local residents, but it’s gradually grown into a major attraction that draws outsiders eager to see what the fuss is all about. 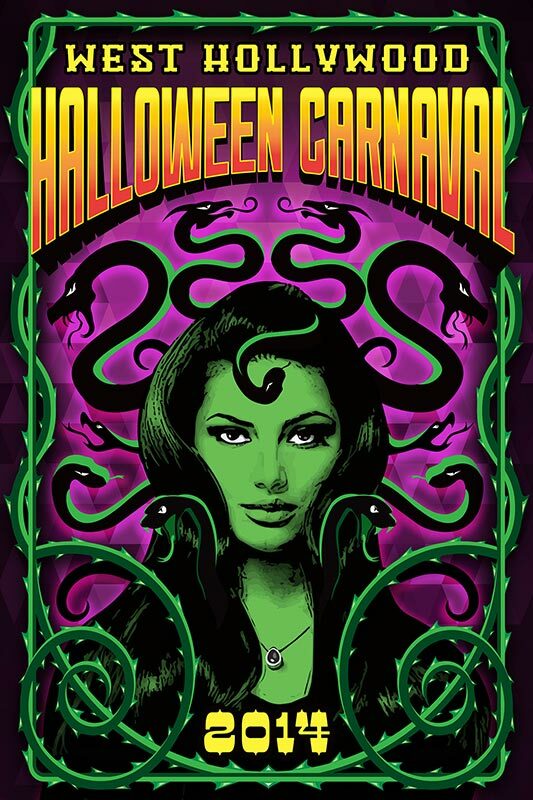 The result is a sort of carnival-freakshow that diverges somewhat from more traditional Halloween events — i.e., you will see far more drag queens than skeletons and monsters. (Some of the more clever costumes combine both concepts, such as “Bobbi” the homicidal transvestite alter ego of Michael Caine in DRESSED TO KILL.) The elaborate nature of many of the home-made costumes goes far beyond impressive into the realm of the totally fabulous - and often risque and outrageous. Consequently, West Hollywood recommends leaving the kids at home. Whether or not you’re gay, it’s a great way to spend Halloween in Los Angeles. In addition to the costumes, there are multiple music stages along the boulevard. Alcohol is not allowed on the street, but there are many bars where revelers can pause to imbibe. Backpacks, camera bags, and totes are not allowed; carry items in clear plastic bags, or simply bring some i.d. and a credit card.